Welcome to the State Association Divisions and State Services Page! If you cannot find a division or discipline you are interested in...contact us for help. asrpapresident(at)gmail.com Some services and other ASRPA groups are on the DIRECTORY PAGE. We urge you to contact the Division Leaders for their help and direction if you are interested in what they are doing. ASRPA Cast Bullet Cast Bullet. The Cast Bullet Division competes with various rifles using cast lead bullets fired at 100 and 200 yards. 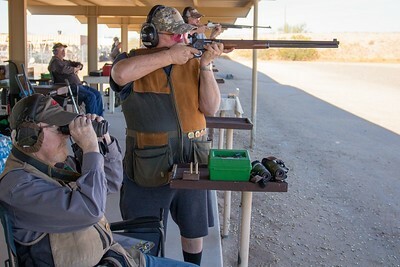 The Benchrest section shoots modern and antique cartridge rifles fired from the bench. The Schutzen section shoots separate loading (breech seating) single-shot rifles fired off-hand and from the bench. 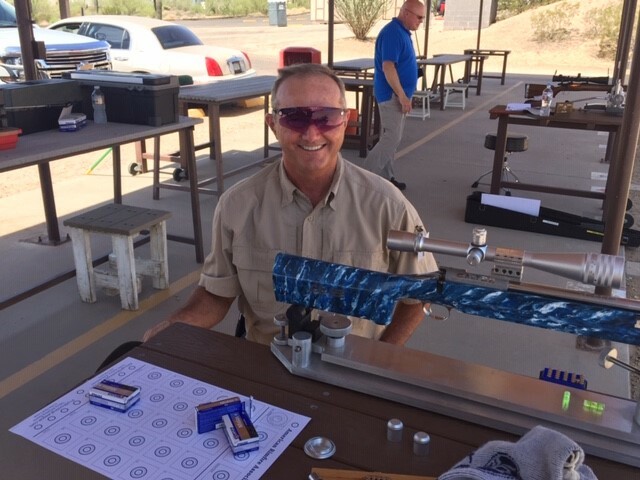 The Rimfire Schutzen section shoots .22 rimfire single shot schutzen rifles fired off-hand and from the bench at 100 yards. Cast Bullet Division typically shoots three matches each month. Contact Dan Walliser at djbwalliser(at)msn.com for further information. The Team is comprised of juniors which have graduated from small bore and basic marksmanship training and wish to compete in a serious national competitive environment. The course of fire is usually NRA Cross-The-Course however there are some other variations which the team uses such as the Rattle Battle and fixed longer range competition. The Team represents the State Association at the National Matches in Camp Perry Ohio every summer. Participants (juniors and parents) are required to adhere to stringent guidelines of safety, firearm storage, hand loading, personal development commitment to the team. Academic standards in school must be high throughout the program. Equipment is provided by the State Association. Parental involvement and support is also a must. The ASRPA Junior High Power Team (Scorpions) attends the National Matches at Camp Perry, Ohio every year. 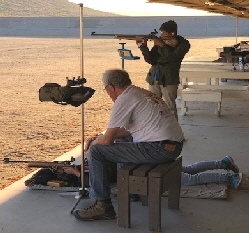 Junior Smallbore Rifle Marksmanship Program--Providing training for boys and girls ages 10 - 21 in prone, sitting, kneeling and standing positions. 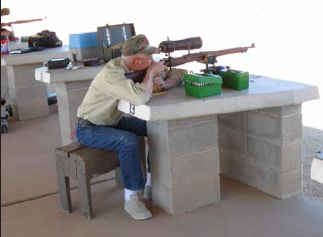 .22 caliber target rifles, ammunition and all equipment are provided. 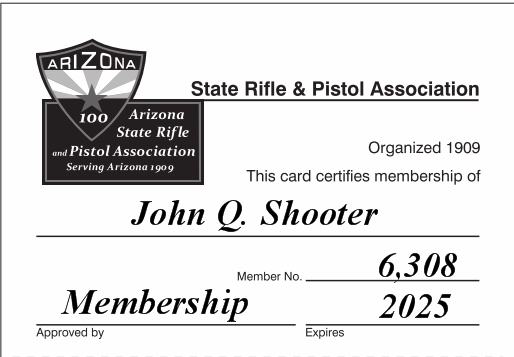 Participants earn NRA classifications and are awarded certificates, patches and medals. 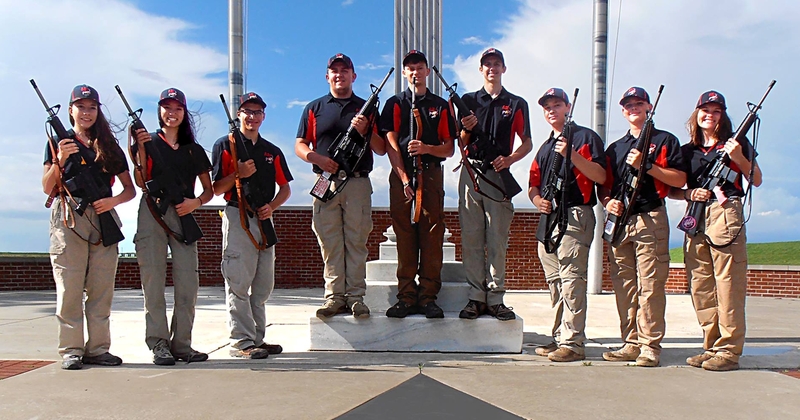 Programs are in place to graduate young shooters into our ASRPA Junior High Power Program. Parental involvement and support is also mandatory. ASRPA Lever Action Rifle There are three classes of lever action rifles (LAR), all shooting is done from the offhand position. Lever Action Rifle is any center fire .25 caliber or larger with a tubular magazine of original manufacture or replica thereof, using a flat nosed bullet. 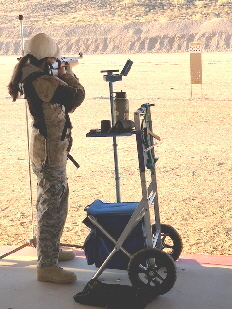 Target distances are 50-100-150-200 meters. Pistol Cartridge LAR is any PCLAR with tubular magazine using round or flat nosed bullet. 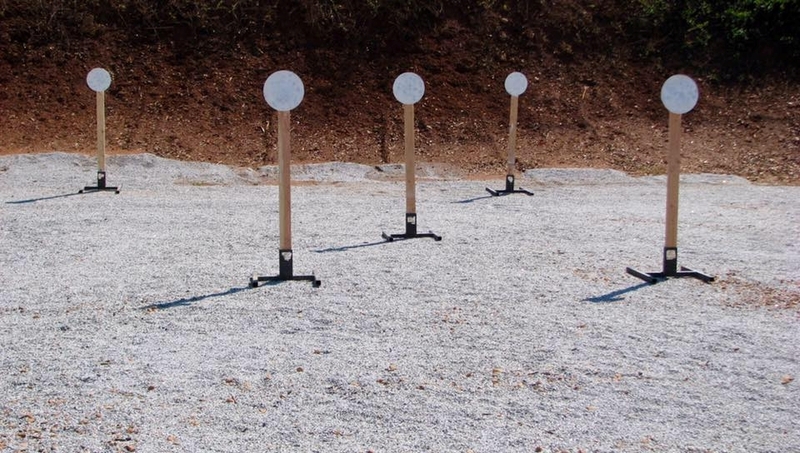 Target distances are 40-50-75-100 meters. 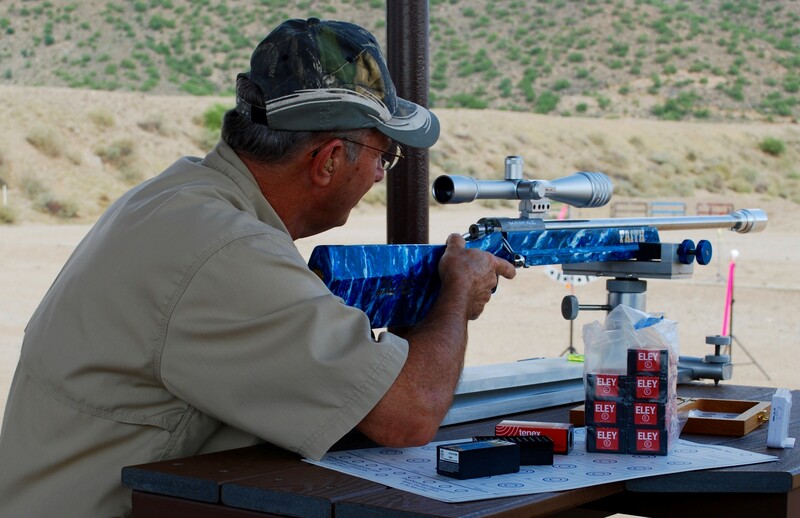 Smallbore Cowboy Rifle is any lever action, pump, or semi-auto rimfire rifle with a tubular magazine. Only .22LR ammunition is allowed. Hyper velocity ammo is prohibited. 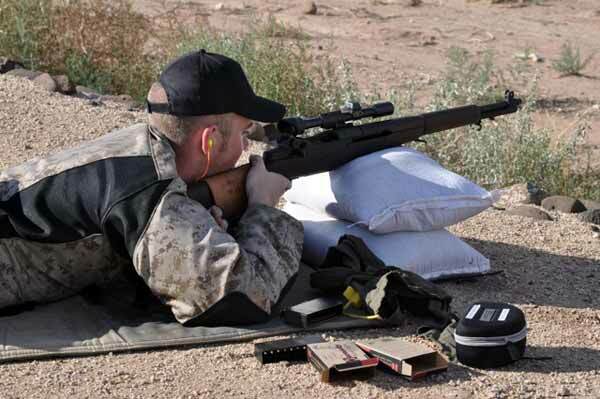 Target distances are 40-50-75-100 meters. Contact Jeanie Hershey at cowgirl3220(at)gmail.com for more information. Pistol Silhouette is all about shooting handguns at longer than usual distances. The targets are steel silhouettes of animals: chickens, pigs, turkeys, and rams. The small bore animals are 25-100 yards and big bore are 50-200 yards. Shooters are given 2 minutes to fire 5 shot strings for a total of 40 shots per match. 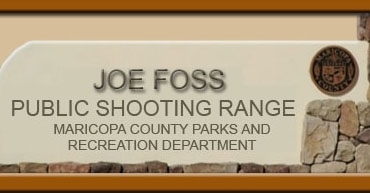 If you have a handgun, come on out and shoot with us.! 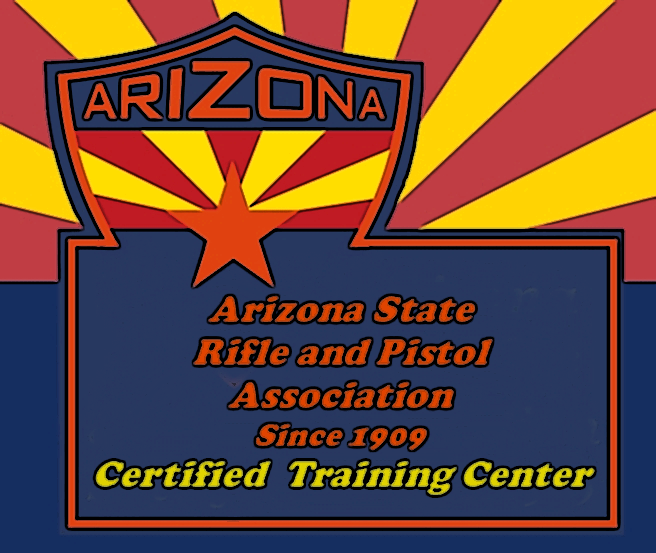 The E and T also offers ASRPA proprietary courses such as the Civilian Anti-Terrorist (Active Shooter) Survival course (CATS), AR15/10 101 and 102, a beginners guide to the modern sporting rifle, the ADM (Arizona Defense Match) a training exercise with rifle and backpack, and the original Defensive Use of Firearms course by Michael P. Anthony (original Arizona DPS CCW course from 2005 which is updated after each legislative year. 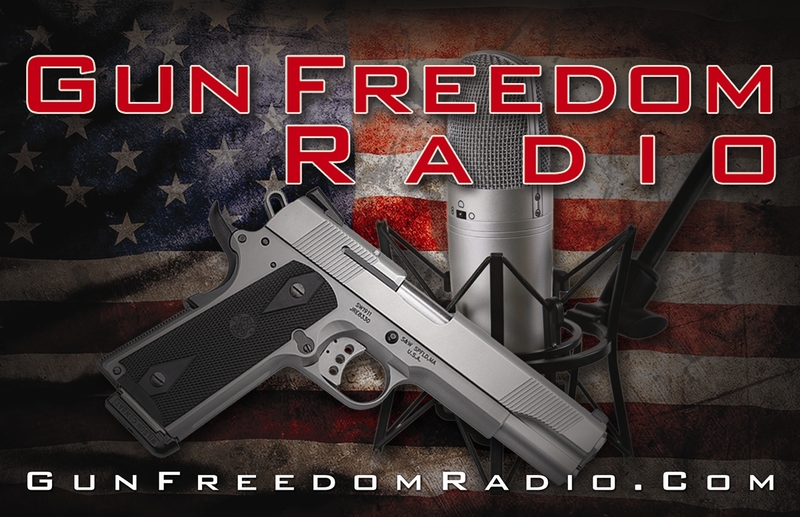 Contains 3 hours of law, videos, scenarios, and firearm safety with an emphasis on fun and smiles for everyone. We work with individuals and groups such as churches, schools, community centers, and just about anywhere in the State. 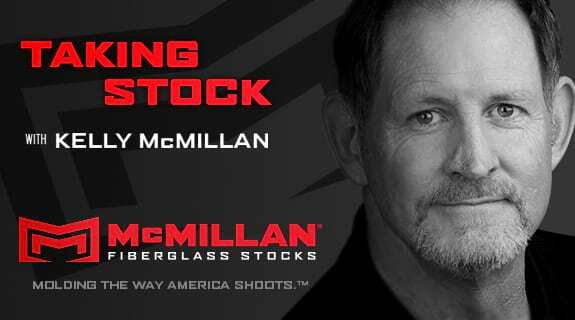 If you are planning or would like information on a group training, shooting, or lecture event, please contact us for ideas, pricing, and other pertinent information which would make your event a hit. 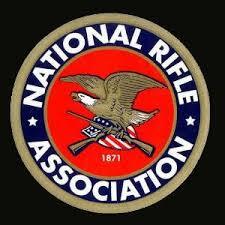 The ASRPA Women's Division will continue to do educational classes for women using NRA classes and our own. 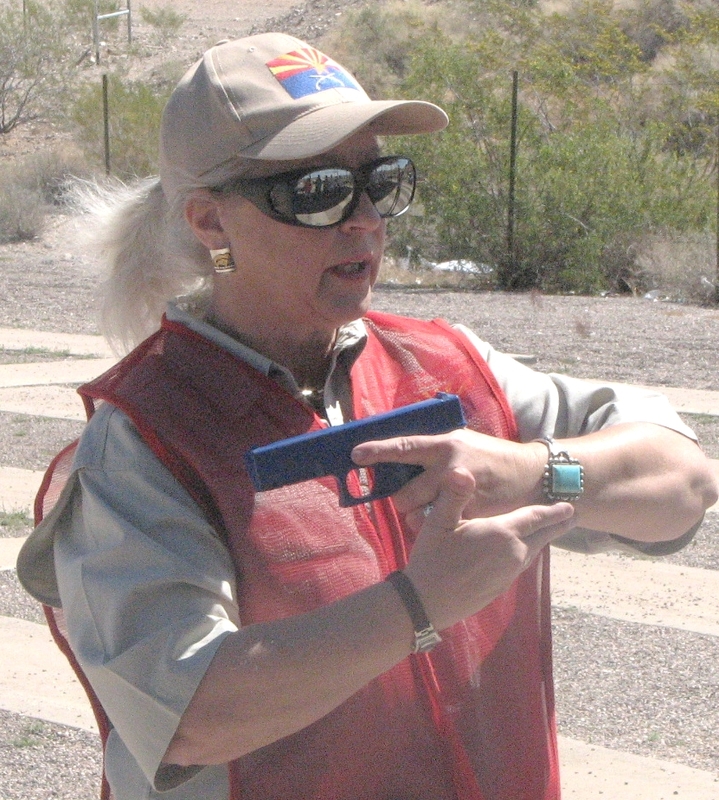 Giving women a solid shooting platform with developing skills in pistol and rifle. Exposing them to the world of Personal Protection for themselves and family. We encourage women to enter the different competitions to re-enforce their education, have fun while making new friends. 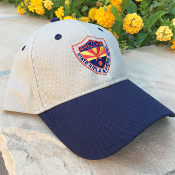 ASRPA Women's Division will be reaching out to other areas of the state of Arizona helping and teaching women who don't have access to this education. We are here for them, because this division is all about them. ASRPA Vintage and Specialty Match Division. The V and S Division offers out of the box matches, events, CMP Vintage Rifle, CMP Vintage Sniper, Pistol, Shotgun, Three Gun, Big Game, Sniper, and just about anything you can think up to have a good time with your firearms. Usually associated with food. Also, the Division will offer some traditional NRA, CMP, and other types of events. Shot in many different disciplines in Precision Pistol. The one commonality in them all is each is shot one handed and with both slow fire and sustained fire with fixed time limits. 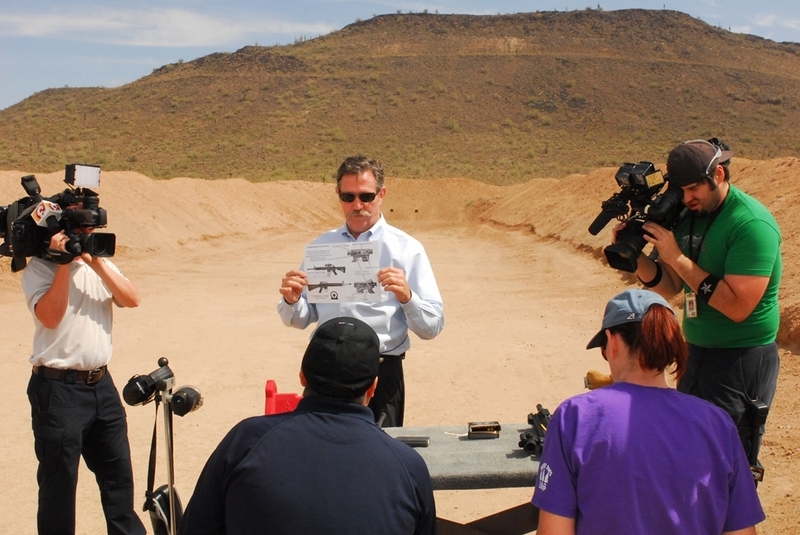 Some disciplines require the use of iron sights and some allow optics and both semi-automatics and revolvers are used. The most common type of Precision Pistol is Bullseye, generally with optic sights (much easier to see), which is fired at 50 yards slow fire, 10 shots in 10 minutes and sustained fire courses at 25 yards of timed fire 5 shots in 20 seconds twice and rapid fire 5 shots in 10 seconds twice as well. The General course is 10 slow, 10 timed and 10 rapid which we call a National Match Course. 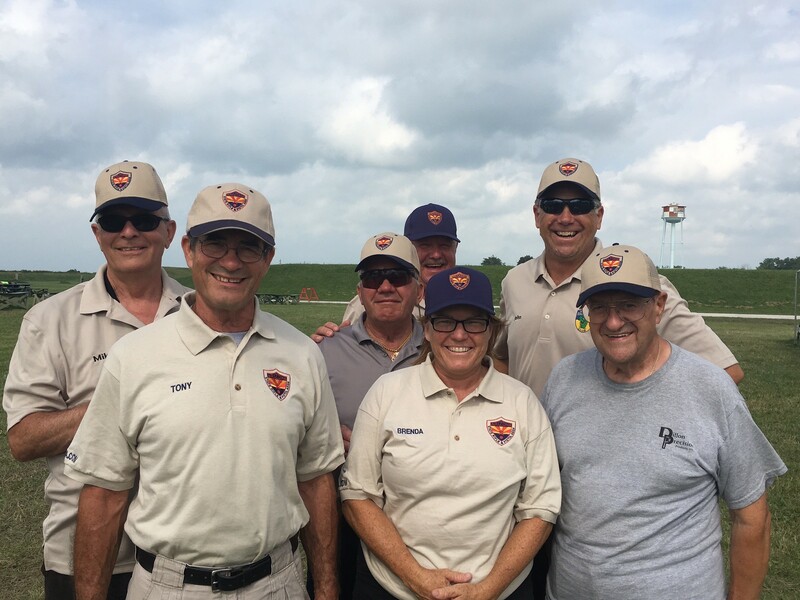 We attend the National Matches at Camp Perry, Ohio as the ASRPA Bullseye Team. 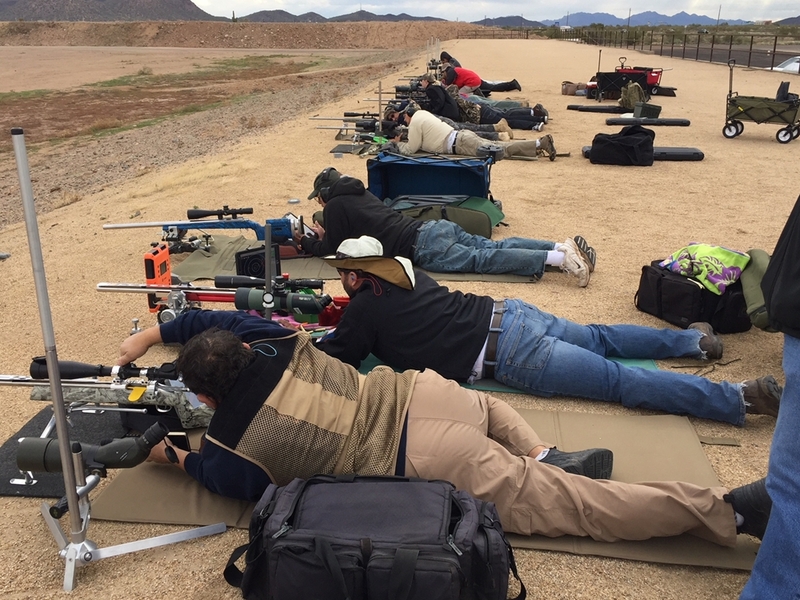 We are a group of long-range enthusiasts. We shoot from 600 yards to 1000 yards. 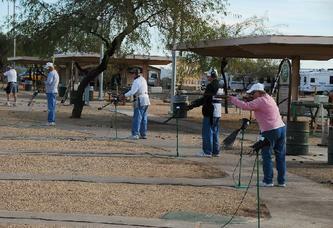 Our main focus is iron sites Palma rifle or F class competition. The iron sights X ring target at 1000 yards is 10 inches round or one minute of angle. For a F-Class the X-raying is 5 inches wide or a half minute of angle. We are always looking to exchange information and help our fellow shooters. If you would like to come out and join us, we ask is that you bring a proven firearm (without muzzle break) which can reach out to 1000 yards. 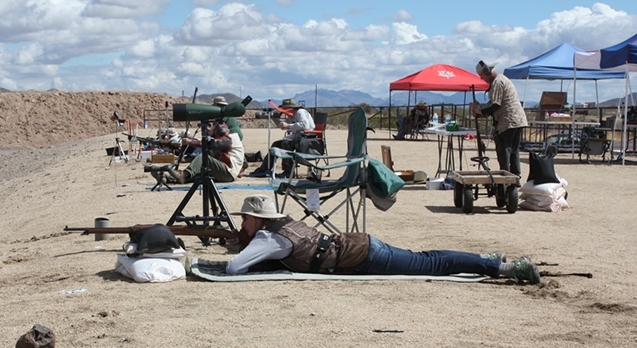 Small Bore Rifle Division encompasses seve ral small bore disciplines including the Western Wildcat and Black Widow State Matches, the Steel Challenge, the AR Platform Course, and competition under ARA rules.